Bob gave out such good advice in his recent interview that we knew we had to share his amazing e-course with all of you. Ready to start a blog or want to take your blog to the next level in terms of traffic, income, or professionalism? Blogging Your Passion University offers 3 levels of blogging courses to help you learn exactly what you want to from two full-time bloggers. These courses cover all aspects of starting, running, and advancing a blog so that you can grow your business. Many entrepreneurs are under-utilizing their blog because they don’t know how to monetize it or aren’t sure how to navigate Google Analytics to figure out which keywords to use to gather more traffic. These courses are presented in simple video format without all the SEO lingo that usually bogs people down. If you’ve ever wanted to turn your blog into an aspect of your business that draws in customers and brings in some side money, you’ll love these! What makes this blogging e-course unique? We loved that there are 3 levels to this university. Level 101 is for those just starting up their blogs who want to know the steps involved in setting up your blog, picking the right site name, and how to install Google Analytics. Level 201 shows you how to get traffic to you site and monetize it like a pro. Level 301 is all about taking it to the next level in terms of monetization, advanced SEO, and keyword management. Videos. The best way to learn how to play with WordPress or Google Analytics is through visuals, which is why Bob and Jonathon created their entire course with video content. You can pause, rewind, replay, and get all the information you need to create one amazing blog. Get ready to start a blog that turns readers into customers and adds a new revenue stream to your income. 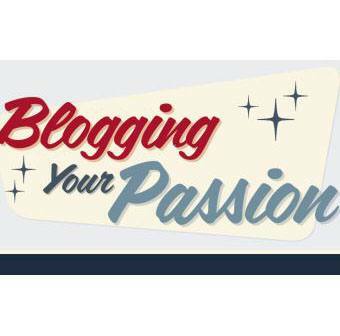 Blogging Your Passion offers 3 levels (BYPU 101, BYPU 201, and BYPU 301) to help you turn your blog into the blog of your dreams. Thanks for the write-up Megan. We greatly appreciate it! Wow… I just checked out the 201 course. Isn’t it a steal at the current price?